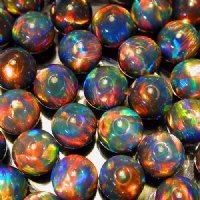 Our black 8mm spheres are impressive! They have an opaque black body color and flash every color of fire you can imagine. 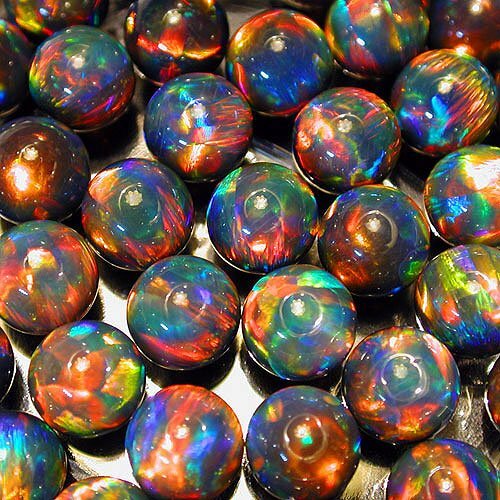 Each sphere is perfectly polished and ready to be set in glass.